Although I’ve never been a wholehearted admirer of Charles Dickens, I reread A Christmas Carol every year. The novel unfolds almost like a screenplay. The characters have clear desires and motivations. The setting is cinematic. The theme is tightly woven into the fabric of the story. And the dialogue! What’s not to love about the dialogue? When Bob urges her to be more forgiving at Christmastime, she says, “It should be Christmas Day, I am sure, on which one drinks the health of such an odious, stingy, hard, unfeeling man as Mr. Scrooge. 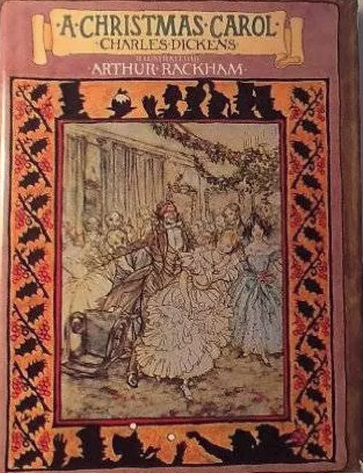 You know he is, Robert!”4Readers know Mrs. Cratchit is right and admire her for her candor. 1. Charles Dickens, A Christmas Carol, illustrated by Arthur Rackham (Philadelphia and New York: J.B. Lippincott Company, 1976), p. 8. 5. Kenneth Grahame, The Wind in the Willows, illustrated by Michael Hague (New York: Ariel Books/Holt, Rinehart & Winston, 1980), pp. 70-71. 7. T.H. White, The Once and Future King (New York: Berkley Publishing Corporation, 1966), p. 139. 8. Laura Ingalls Wilder, Little House on the Prairie (New York: Harper Trophy, 1971), p. 248.